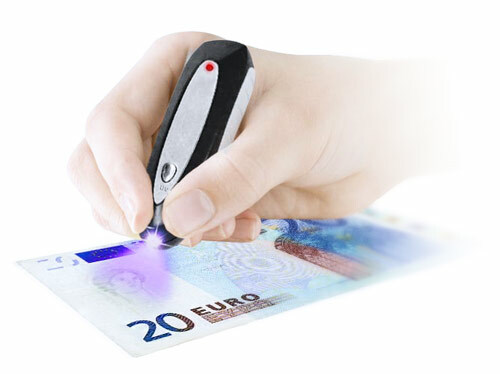 Verify banknotes in seconds using this double check device. Press the MG button and pass the tip of the device over the magnetic area (a beep will confirm it). Press the UV button and pass the light over the invisible fluorescent patterns to view them.